Throughout our careers, most of us have had a bad boss, or three. Sometimes, we get the ones who stroll in late, leave early and show up just in time for the congratulations at the end of a project. Other times we might ‘luck out’ and work for someone who’s nice enough, but doesn’t make us feel inspired or valuable. Chances are, having a boss or two like this is the reason you started your own business in the first place. 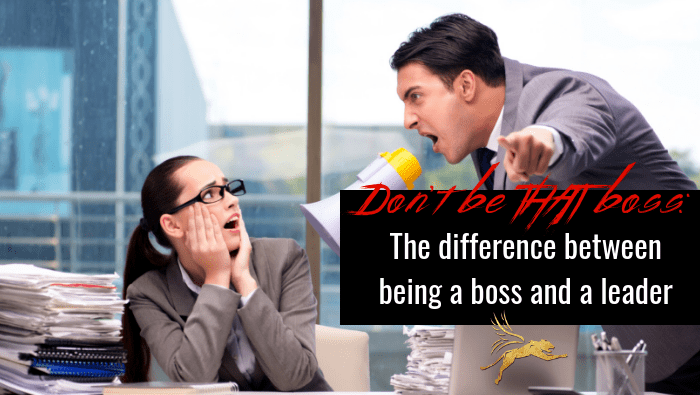 But, what is the difference between a boss and a leader? And, which do you want to be? A boss is an authority figure, and has more of a profit based mindset. 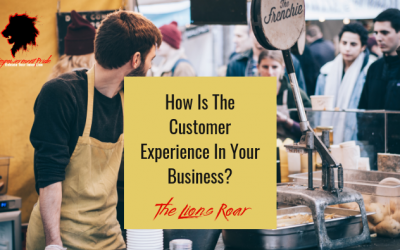 Although as business owners we obviously want to turn a profit, having a high turnover rate and bad employee reviews is not the way to do it. This is where being in management can become a bit of a juggling act. Trying to find the balance between managing a team, and respecting each employee as an individual can be difficult. But, it’s an investment into your team, and your business, so if you find yourself identifying with anything on the list below, you might want to rethink the way you manage your team, or you may not have one for long. A leader on the other hand, focuses on inspiring their team. They spend time with their employees and identify their individual strengths (and weaknesses) and work with that person to reach their highest potential. 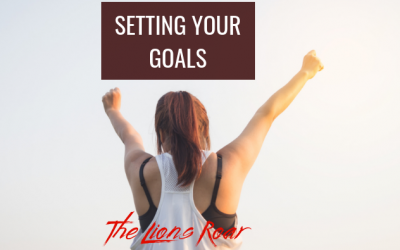 This may seem like a bit more work than simply telling someone what to do, but, as their potential goes up, so does the potential of your business. And we’re all in the business of growing our business. So, I think it’s safe to say, we all want to be a leader. But, how can you be sure you’re not falling back into old habits? Or, maybe you’ve never worked for a leader before and this is all new territory for you. Well, if you’re starting to hire employees, and have found yourself reading this post, I’ll let you in on a secret. You’re on the right track. As with anything, the first step is self-awareness, and chances are if you’re taking the time to read and research leadership qualities, you probably already have them. You might just have to spend a little time practicing. 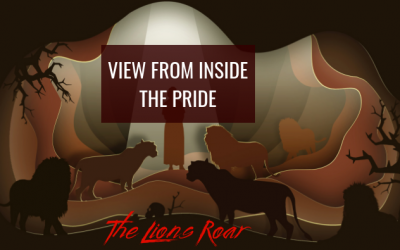 In the mean time, there are some simple questions you can ask yourself throughout your interactions with employees that will give you a good starting point and help you identify what areas you need to work on to become the best leader you can be. Am I helping my employees develop, or am I telling them what to do? Am I working towards a solution, or placing blame? Am I inspiring performance or demanding results? Am I depending on goodwill or using my authority to get what I want? If you can choose the first option in each of these questions, then you know you’re on the right track. And, if all else fails, just ask. Many companies have employee evaluations, but have you ever thought of having your employees evaluate you? It may be scary at first, but if you want to grow as a leader, you need to know how to take and give critiques, and first hand experience is a must. You don’t have to be THAT boss! Working is a part of everyone’s life. It’s something we all have to do to survive, but why does it have to be a struggle? Shouldn’t we all strive to do something we’re passionate about? It doesn’t matter if that thing is making coffee, or affecting global policy – passion is a necessity for humans, and a leader knows this. Think about it this way. You left whatever job you had before starting your own business in the search of something new, something that made you feel alive. And, if you want your business to stay alive, you have to show your employees why they should be passionate about it too. 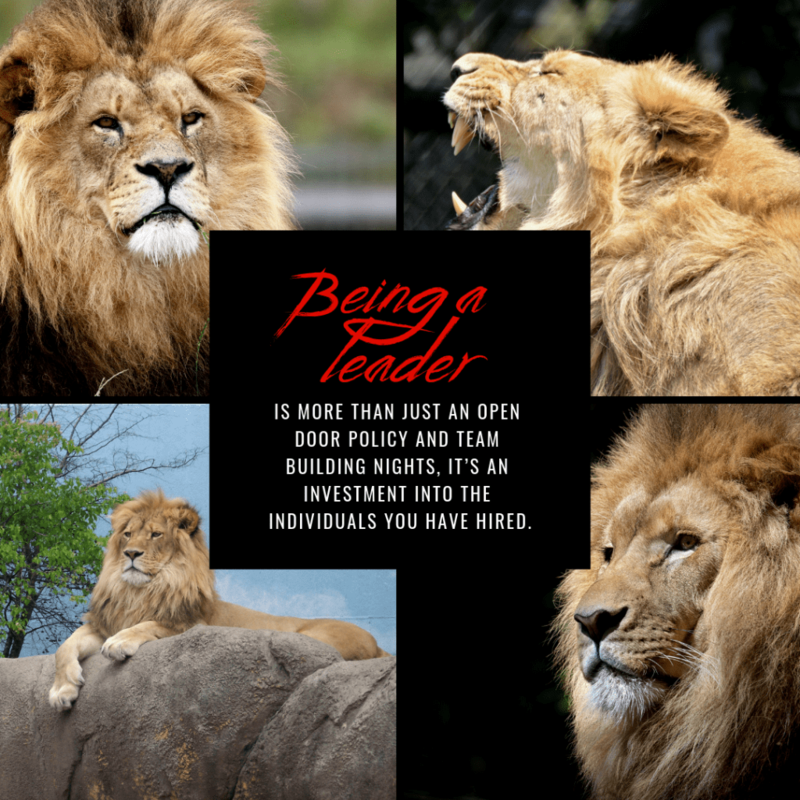 Being a leader is more than just an open door policy and team building nights, it’s an investment into the individuals you have hired. It means seeing the potential in your employees and working hard to help them, help you. Anything you can do, a team of inspired and passionate employees can do better. So, at the end of the day, ask yourself, would you work for you? If the answer is no, you can’t honestly expect anyone else to either.